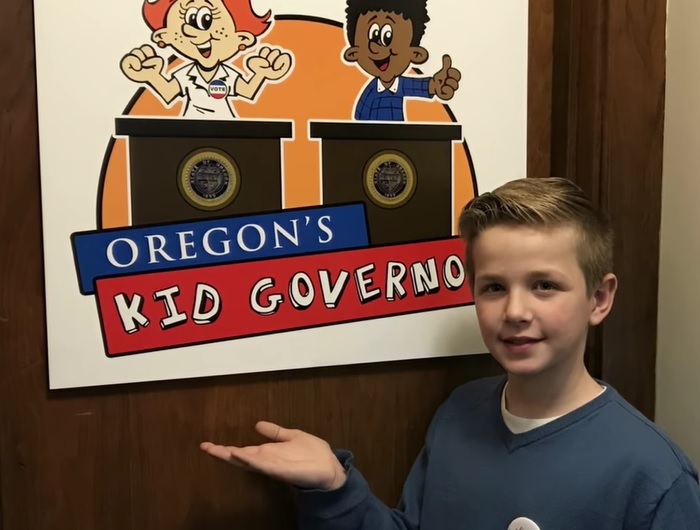 SALEM, OR -- Oregon's Kid Governor has produced a video on civics. Fifth grader Dom Peters was selected as Kid Governor and sworn in earlier this year. In the video, he tours the state Capitol, describes the Legislative branch and meets with Governor Kate Brown to learn what she does. He also meets with the Secretary of State, State Treasurer and Head Justice at the Oregon Supreme Court. Peters wrote an anti-bullying book titled "Pippin and the Super Kind Friends Club." He'll read it at the state fair. Oregon is the second state to have a Kid Governor program. Registration is open for next year's Kid Governor, on the Secretary of State's website.